Superstar City was an innovative Facebook hangout for young women that centered on friends, music, and fashion. 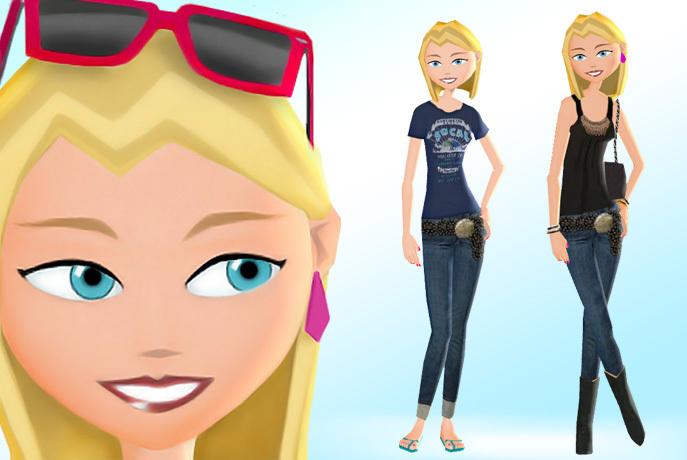 Players could customize and clothe their own avatar using micropayments, play fun minigames, and meet up with friends in 3D chat rooms. The game was built as part of Hangout.net, a small startup headquartered in Boston. We built the game in Unity3D using C# for the client and server, Maya for 3D assets, and used motion capture for avatar animation. I was responsible for creative direction, gameplay programming and design. This entry was tagged avatars, facebook, MMO, Unity3D.